Microsoft spent the week pulling surprises out if its giant hat this week with a couple of significant announcements. The first one was a positive – embedded Windows 7 for CE devices which holds some promise – especially for Media Center fans. The second a total disappointment albeit not an entirely shocking one where they admitted their awesome, courier Tablet PC concept was just that – a concept that will never see the light of day. Since I’m a bit ticked about the courier announcement, we’ll focus on the positive, embedded PC concept today. The biggest tech news sites have sort of glossed over the announcement, but don’t for a second discount this one. Microsoft has unleashed an embedded version of their hot-selling Windows 7 operating system to be used by OEMs in consumer electric devices such as TVs, set top boxes, DVD/Blu-ray players etc. If this sounds a little Linux-like to you, you’re not crazy. Embedded W7 is targeting Linux front-on since you can find Linux in many CE devices today – especially those things like set-top-boxes, TV firmware, DVD and Blu-ray players and HTPC extenders. And because Microsoft included Media Center in the embedded W7 mix this is definitely a big deal. Microsoft has been calling the embedded Windows 7 project by the codename “Quebec”. But starting this week it will be known as Windows Embedded Standard 7 (yeah, that’s a better name isn’t it…). It will only be available to OEMs – original equipment manufacturers so you and I won’t ever get our hands on it directly, but we will likely see versions of it on some electronic device we purchase in the future. Enhanced TV experience: Windows Media Center functionality allows OEMs to merge broadcast TV, Internet TV with personal multimedia and photos and provide a unique integrated experience for the end user. The lack of a viable HTPC extender for Media Center except for the XBox 360 continued to hold Media Center back from its potential. Many who might even consider HTPCs simply did not want to put a computer next to each of their TVs. In the meantime the small niche company, SageTV produced two of the most fully-featured and useable HTPC extenders ever – the SageTV HD100 and HD200 Theater. This along with some features Microsoft was unwilling to allow enabled SageTV to hold its own against the behemoth Microsoft who just seemed to be hanging around to see how things go with the Media in the living room concept. Now that Windows 7 has proved to be a success and Media Center improved on many of the problems of earlier versions of Media Center, it appears that Microsoft is again ready to push its dominance into the living room. Tuesday, Windows 7 Embedded was released to manufacturing with the intent to put Windows 7 into CE devices and in many cases into everyone's living rooms one way or another. Time will tell whether Windows 7 Embedded will convince CE manufacturers to give Media Center another chance. Mediaroom seemed to get all the attention from that same audience at CES earlier this year so Microsoft seems to hope Windows 7 will get its due now as well. I hope to see Media Center embedded into TVs, Blu-ray players and even set top boxes eventually. If Microsoft succeeds at this and the implementation isn’t crippled too much, they’ll be a force that will give the TiVos of the world a very, very difficult time. Note that Microsoft seems to be open to allowing CE manufacturers to customize the software a bit to their own liking. Allowing branding and special features to be included as desired within reason. This could be a draw to Windows 7 Embedded over some other options available to CE manufacturers and Windows 7 MC definitely has the polish already built in that would be very attractive to them as well. The negatives we might see as consumers – or more likely enthusiasts might be crippled features, less flexibility etc compared to the full-fledged HTPC implementation. But for the masses, a well implemented CE device could be the perfect thing to bring Media Center into the eyes of the not-so-technical public. The success or failure of this concept will likely be a result of which manufacturers buy in to the concept. Time will tell. Unless you’ve been living under a rock or two, you probably already know what a DVR can do. And you very likely have seen and possibly even used a TiVo – a powerful and easy-to-use DVR. But have you ever considered making your own DVR – one that runs from your home computer? Many who read GeekTonic have done just that. But countless others have either considered it too much work, too difficult, too expensive, too geeky or some other excuse. If you’re one of those who hasn’t tried transforming their computer into a DVR or one who has tried unsuccessfully, this primer is for you. And if you are already the proud owner of your very own HTPC, you’ll still learn from this series. This is the first of a article series with the goal of helping you understand the pros and cons of Home Theater PCs (HTPCs), how to build an HTPC, which software and hardware to use in your HTPC and the amazing things you can do with your HTPC. A Home Theater PC or HTPC for short is a “appliance” that takes a computer, adds software all with video & music playback and usually video recording capabilities to make a device many call a “Media Center.” Think of it as a home theater super-set-to-box that combines everything media-related into your computer to power your TV and audio system. 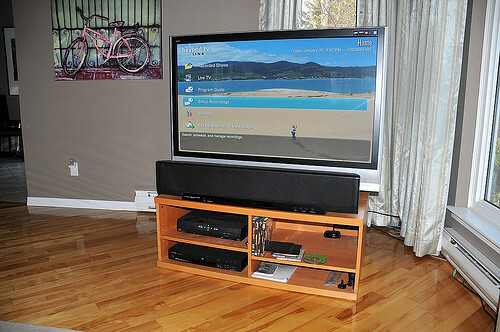 The HTPC can be controlled with a keyboard and/or mouse, but typically a remote control is added to give the user that “10-foot user interface” so you can control everything on your TV and audio system from the comfort of your couch. In it’s full-implementation, the HTPC acts as the DVR, DVD player, Blu-Ray player, Movie-on-demand, Online Video display, music jukebox, TV Guide, internet radio player, and home automation controller all in one device. In more complex setups, one HTPC “server” can power multiple TVs throughout a home all with once point of recording & storage, but controlled from the remote control at each TV set. I remember when I first began piecing together my first HTPC. My family and friends didn’t understand why. Those who haven’t witnessed a well implemented HTPC setup often ask these questions: Why would anyone put a computer in the living room? Why would you go to so much trouble to set that techno-monstrosity up and maintain it? Why do you need a computer to do what your $10 per month cable company DVR box can do? Record as many channels as you want. I have six tuners in my setup although I’ve seen many more in other HTPCs. You can convert and move media content to other devices. Converting recorded TVs and movies to other formats is easy with HTPCs as the content is usually not locked down inside that “black box.” Moving or copying content onto your mobile devices is typically not a problem and definitely much easier than with a DVR or other non-HTPC device. Whole home DVR, music & movie server – watch a show in one room, move to another room and resume that same show where you left off! 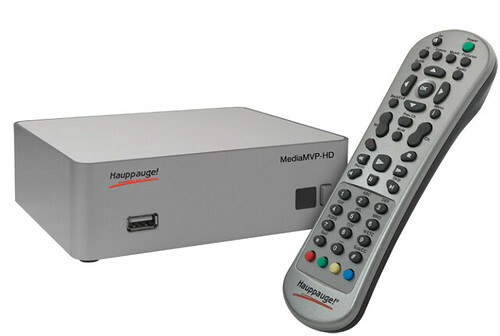 Instant Commercial Skipping with the press of a button – not just 30 second skip, but real commercial detection so you can click a button on the remote to skip to the end of the commercial. 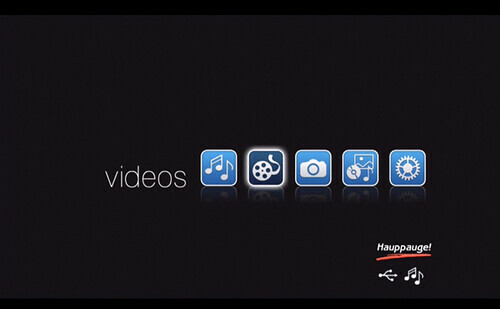 Easy Access to Online video content on your TV. Get your TV and movie content streamed from online sites to your TV. And I”m not talking about that cheesy, “online” functionality built into those new TVs & Blu-Ray players either. Real, online media browsing and viewing all inside the same user interface controlled with the same TV remote control you use to watch TV. No monthly fee for the Tivo service or DVR rental. Obviously you can take this as far as you want to – some go without cable or satellite service completely and get their content over the air and from online sources so these folks have no monthly fees. Others like me subscribe to cable, but not to DVR rentals so we’re reducing our monthly fees. A PC connected to the TV can bring you additional functionality. Gaming – even old school games using MAME, online video, web browsing etc. There are countless other reasons to build and use a home theater PC. Let me know in the comments if I missed any big ones. Computers have many possible points of failure. The operating system annoyances & crashes, hard drives crashes, video card difficulties, overheating etc etc. Getting things set up can be difficult and time consuming. Depending on your experience with computers the setup process can be difficult and overwhelming at times. There is simply a lot to learn when you build your first (or even second) HTPC. We’re not talking plug-it-in and play here. Recording cable & satellite content is getting more difficult, not less. Cable companies are beginning to move channels away from the open, analog and towards the more closed digital. And satellite company boxes are even more difficult to record from. There are solutions for HTPCs here, but you need to do your homework so you know what you’ll be dealing with. This topic will take at least an entire article to cover it properly. Just know you can’t always plug your CATV cable into any PC TV tuner and always expect it to begin recording. Sometimes it IS that easy, but better to know what your situation is first. That TiVo or DVR or Fios or whatever is pretty darn easy – and sometimes it does enough for your situation. Even if it’s not quite as powerful as an HTPC, sometimes its good enough for you. There are definitely more challenges – let me know if I missed any of the big ones. Up to the Challenge? How Do I Get Started Setting Up My Own HTPC? Which Operating System for HTPCs? What HTPC software? How do I choose? Recording it All – How do you record from OTA, Cable, Satellite etc? Which Tuner? Getting it to the TV – Extenders, Game Systems, HTPC computers oh my! My goal here is to provide the framework to help those who decide they wish to power their media throughout the home with the HTPC. After completing this series, you should have the basics to set up and run your own HTPC and how to make it work perfectly for you. Stay tuned to GeekTonic. This series will walk you through everything you need to consider and do to make the perfect HTPC for your home. The latest version of the popular, Windows Home Server by Microsoft named “Vail” was unveiled today to the public. We Got Served has several nice writeups to learn all about the new features and see a walkthrough of Vail. Let’s get one big elephant out of the way to kick off. Despite a lot of community requests, (and I know there’s been a lot of discussion within Microsoft regarding this) Windows Media Center has not been integrated into Vail. At this point, there is no in-box TV tuner support and TV guide service other than you’d expect to find in the underlying Windows Server 2008 R2 platform. This continues to be a head-scratcher for me. Seems like an obvious thing Microsoft could add to WHS and add value to MediaCenter at the same time. But again they left SageTV as the only HTPC software that had a true-WHS/HTPC solution for Windows Home Server users. Windows Home Server Dashboard which is basically a new UI for the old Windows Home Server Console with mostly the same functionality. Launchpad – a new, quick-access functionality that is very Windows 7-like giving you quick access to backups, remote access, shared folders etc. Alert Viewer – A way to view alerts on all PCs in the system. DLNA Compliant Media Streaming – A great addition to WHS is DLNA-compliant functionality for streaming your media. Homegroups functionality – think Windows 7 homegroups here. What’s New in Windows Home Server Vail? 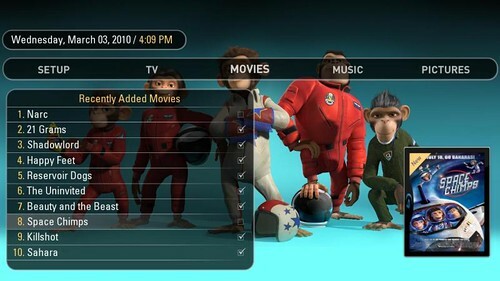 Let me know what you think about the new featureset in Vail – is the HTPC omission a big deal? Anything you’re excited or disappointed about with Vail? Each week GeekTonic covers the TV scene with a complete listing of premieres, finales and specials for the week. This week brings us a few more premieres & returns as well as a few finales. When Love is Not Enough: The Lois Wilson Story (9pm on CBS – HD) – a documentary/drama with Winona Ryder and Barry Pepper star as the co-founders of Alcoholics Anonymous and Al-Anon. 8th Annual TV Land Awards (9pm on TV Land) – Shows such as Bosom Buddies, The Love Boat, Glee and others are highlighted. 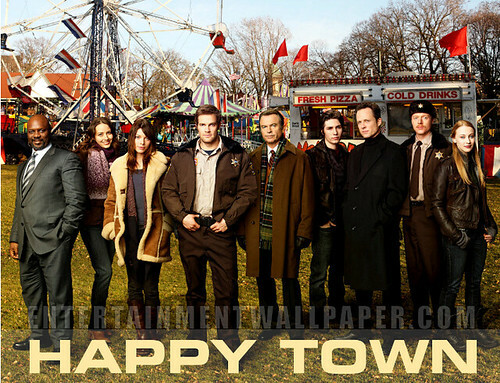 Happy Town (10:01pm on ABC – HD) – new drama series with Lauren German & Sam Neill starring. The story is set in a small, Minnesota town that experienced its first crime in seven years with a murder. Bill Moyers Journal (8 pm on PBS) – A special, 90-minute episode marks the final episode of this long-running series.